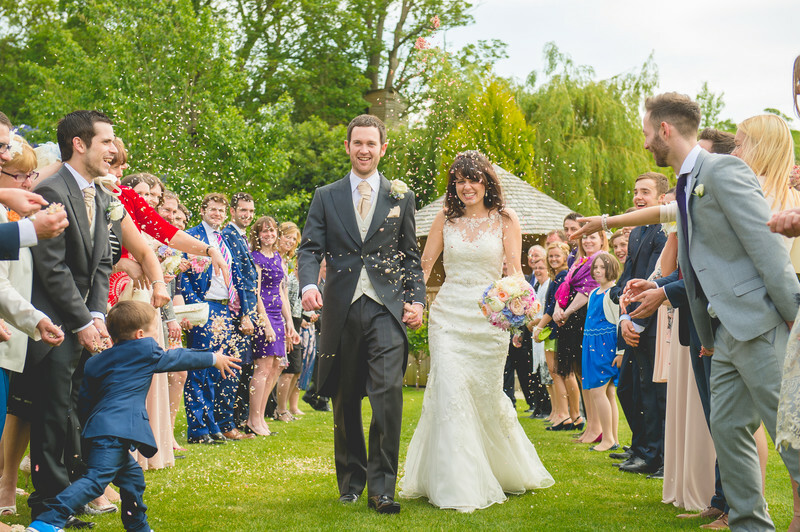 Cathy and Andy got married at Deer Park Hall in Worcestershire. I really enjoy trying to get a different angle on a wedding - It's easy to end up taking similar photos at every wedding, so for this reason I'm always looking for something a little different. 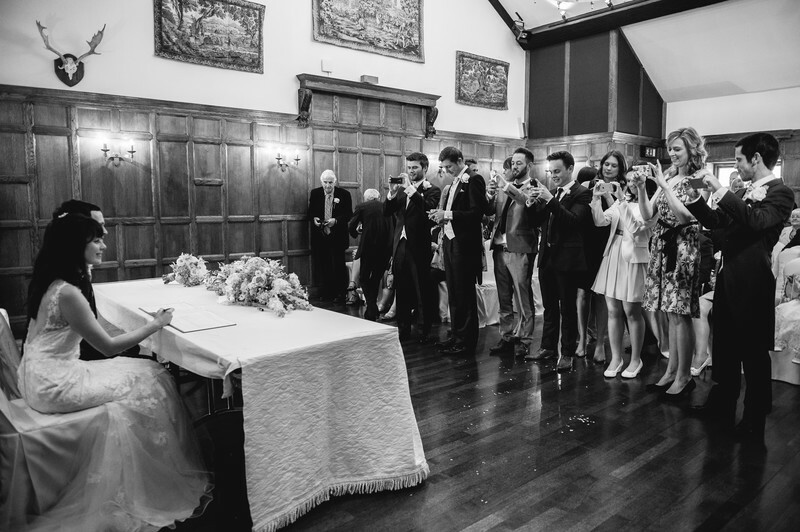 At the end of a civil wedding ceremony, depending on how ahead or behind time things are running, the registrars usually invite the family and friends of the bride and groom to the front of the room to take a photo of the bride and groom singing the register. I love photos like these, looking back at the guests. It gives viewers a real idea of what it might have been like to have been the bride and groom. As well as the wedding, Cathy and Andy also held their wedding reception at Deer Park Hall. The day was fantastic, with guests enjoying the warm weather in the beautiful surroundings that Deer Park offers. Later in the afternoon I took the bride and groom for a walk around the grounds for some couples photos, with wonderful results! I am a recommended wedding photographer for Deer Park Hall.